When couples play board games together or take a painting class with each other, their bodies release oxytocin—sometimes dubbed the "hugging hormone." But men wielding paintbrushes released twice as much or more as the level of women painters and couples playing games, a Baylor University study has found. "We were expecting the opposite—that couples playing the board games would interact more because they were communicating about the games and strategies, or because they were competing, and with more interaction, they would release more oxytocin," which is associated with bonding and family cohesiveness, said Karen Melton, Ph.D., assistant professor of child and family studies in Baylor's Robbins College of Health and Human Sciences. The study—"Examining Couple Recreation and Oxytocin Via the Ecology of Family Experiences Framework"—is published in the Journal of Marriage and Family, the journal of the National Council on Family Relations. Researchers also expected that painting couples would be more attentive to the instructor and to the canvas than to their partners—but instead, couples in the art class reported more partner-touching than couples playing board games. "Typically, an art class is not seen as an interactive date with your partner. But sometimes couples that were painting turned the activity into a bonding time by choosing to interact—putting an arm around their partner or simply saying, 'Good job,'" Melton said. The study is the first to examine how distinct types of leisure are associated with oxytocin release, researchers said. "Our big finding was that all couples release oxytocin when playing together—and that's good news for couples' relationships," Melton said. "But men in the art class released 2 to 2.5 times more oxytocin than the other groups. This suggests that some types of activities may be more beneficial to males than females, and vice versa." Of the four groups, the release of oxytocin increased most for the men in the art class, followed by women playing board games; women in the art class; and last, men playing board games. But the last three groups did not differ significantly from one another, the study found. Researchers also identified a significant environmental impact, in that couples in a novel setting and activity released more oxytocin than in a familiar home-like environment. That suggests that novelty can be an important factor to consider when planning date nights with our partners. For the study, Melton and Maria Boccia, Ph.D., professor of child and family studies, recruited 20 couples ranging in age from 25 to 40. Couples were randomly assigned to participate in one of two couple dates—game night or couple art class—for one hour. One group played board games in a familiar home-like setting. Couples were alone. These couples chose familiar games that would not require them to read instructions. Among the games were cards, checkers, chess, puzzles, dominoes, Monopoly and word games. Meanwhile, the other group participated in painting classes for couples at a community art studio. These couples participated in two groups of five couples. 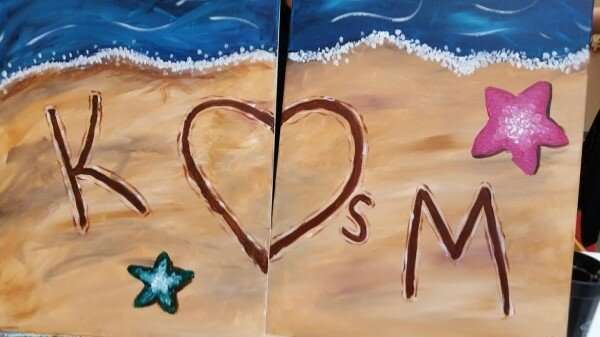 They painted a simple beach scene with their initials in the sand. The art instructor had prepared the canvases to reduce interactions between the couples. To measure participants' oxytocin levels, researchers took urine samples before and after the activities. They also administered a six-item survey about the couple's familiarity with the activities and about their communication, touch and eye contact with their partners during the sessions, which lasted for about an hour. In the future, Melton and Boccia want to explore further what role the environment may play in oxytocin release. The researchers noted that their study differs from others, in which participants have been asked to perform specific actions as cuddling, hand-holding or massage, sometimes for an assigned period. The physical interactions in Melton and Boccia's study took place without prompting and lasted briefly. 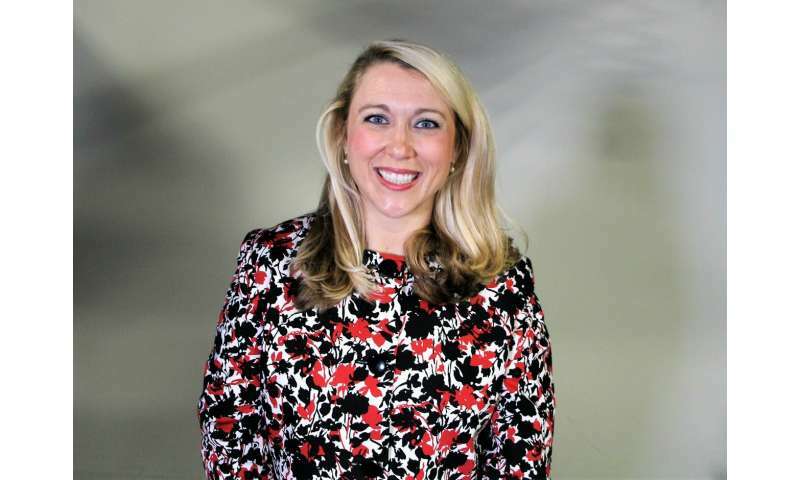 "This has implications for the everyday family—to find those small, meaningful ways to interact when they're eating dinner together or going for a walk or doing homework with a child or sitting on their couches with their iPad," Melton said. "While, yes, this advice is simple, we also have to make sure we're doing the hard work ... This is the hard advice: we have to make time for our families if we want to have families."